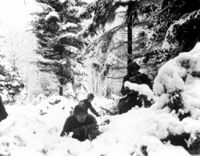 The ‘Battle of the Bulge’ is an enduringly popular American war movie. 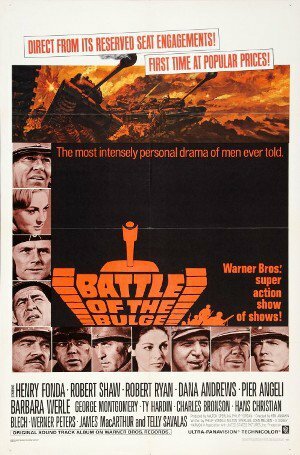 The director of the movie was Ken Annakin and it was released on the 21st anniversary of the battle in 1965. The original screenplay was based on the work of John Melson, but his original work was rewritten by other screenwriters. The movie was produced by the legendary Hollywood mogul Jack Warner Jr. He refused to hire several directors for the film because he wanted someone he could control. Battle of the Bulge was filmed in Spain and had the support of the government of the dictator Franco. In many ways, the motion picture was a typical Hollywood epic with an all-star cast. Among the stars in the Battle of the Bulge are Henry Fonda, Charles Bronson, Telly Savalas, Henry Fond, Robert Shaw, George Montgomery, and Robert Ryan. The movie premiered with typical Tinseltown glitz and glamor at the Pacific Cinerama Dome Theatre in Hollywood, CA. In the movie, the director tried to squeeze a series of battles that took place over three weeks into three hours and tried to give both the German and the American perspective. The motion picture focuses on one German SS panzer unit and an American division. The movie is based on the Ardennes Offensive or the Battle of the Bulge. This was an attempt by the Germans to seize the Ardennes region in Belgium and then to capture the Port of Antwerp. This was to cut the Allied forces in two and Hitler hoped this would force the Americans and British to negotiate. The Germans did make rapid gains and inflicted heavy casualties on the Americans, but the US army fought back and eventually drove them back into Germany. This was the last German offensive of the war. The movie was controversial at the time played loose with history. The film opens with a narrator setting the scene but there are some inaccuracies in the narration. The narrator claims that the British Field Marshal Montgomery was stationed to the north of the Ardennes with his 8th army. This was patently false because the 8th army was in Italy in December 1944. The narrator also fails to mention that General Omar Bradley was in overall command of the US army group involved in the Battle of the Bulge. It's not a particulary good start when your opening narration is wrong. Despite this, perhaps the most accurate part of the movie are the early scenes. It successfully shows the atmosphere among the Germans and the Americans. The motion picture shows the Americans to be confident, complacent and believe that the war was already won. After all, they were now positioned on the border of Germany and the Third Reich seemed about to fall any day. In one scene General Grey, played by Henry Fonda is more interested in getting the G.I.s their Christmas dinner than preparing for any German attack. In several scenes in the movie before the offensive, American intelligence is shown as indicating that there would be a German offensive. These warnings were ignored in the movie and this was also the case in 1944. The screenplay gives a very accurate portrayal of the Germans and their concerns prior to the Ardennes Offensive. One of the preoccupations of the German generals was the need to secure oil. They were very concerned that the offensive could grind to a halt because of a shortage of oil for their tanks and trucks. It also shows many of the generals did not believe that the offensive could achieve the goals set by Hitler. Publicly they agreed with the offensive, but in private they knew that it was doomed, except for some hard line and fanatical SS generals. There was only a narrow window of opportunity for the Germans to inflict a decisive defeat on the allies and this is shown in one of the more memorable scenes. Colonel Joachim Peiper is briefed by his commanding officer, who states that Germany had only 50-hour to win the battle because they lacked resources such as men and oil. The reliance of the Germans on their ‘wonder weapons’ is also very well shown in the movie. Hitler believed that the massive Tiger Tanks and the V1 and V2 rockets could turn the tide of the war in Germany’s favor. Hitler's confidence was once again misplaced. While the opening scenes may be reasonably accurate not much else of the movie can be called historical. One of the main problems with the movie was that it was filmed in Spain. The terrain and geography of that country are not like the Ardennes region. The battle took place in often densely forested and hilly terrain. The terrain shown in the movie was not really like the battlefield and this is a major weakness in the movie. At the time, it was noted by many movie critics and this glaring inaccuracy infuriated many veterans of the battle. Then there is the weather in the movie. This was very important in the battle and it directly impacted on its outcome. The initial success of the German advance is shown in the motion picture to be a result of their daring use of tanks. In fact, it was due to the weather. Snow storms kept the American P-45 and other planes grounded and this allowed the German Panzers to advance rapidly. When the weather changed the American air force attacked the German Panther and Tiger tanks and ravaged them. The weather in the movie does not really reflect the wintry conditions of the battle. There is snow shown but the actual battlefields of the Ardennes were covered deep in snow. Because the movie was shot in Spain, with its Mediterranean climate the wintry battlefields of the Ardennes offensive is not captured. The movie does accurately show the importance of German covert operations in the opening stages of the battle. The German planners knew that speed was of the essence and that they needed to act quickly. They had to seize certain key bridges over the Meuse to allow the heavy Tiger Tanks to advance. The Nazis had detachments of English speaking soldiers dressed in the uniforms of American MPs. This operation was codenamed Operation Greif. Disguised German operated behind the US front line and they seized bridges and disrupted communications. This is shown very well in one scene in the motion picture when German troops disguised as MPs led by an SS lieutenant, played by Ty Hardin, are shown as taking over a key bridge over the River Meuse, the only one that could allow the Tiger tanks to cross the river. The same disguised German soldiers are later shown as changing road signs to confuse the G.Is and disrupting key supply lines. The German covert operation was as successful as shown and played an important part in the early success of the German offensive. What Battle of the Bulge got right was the desperate German need for oil and how they deliberately targeted oil depots. They needed the oil to enable the Tiger and Panther tanks to advance, as their own reserves of oil were depleted. The movie also accurately captured one of the best-known war-crimes committed by Germans against American prisoners. The Malmedy massacre as it became known occurred in the early stages of the battle. SS troops killed approximately 90 American prisoners. This was accurate and after the war, several of the German involved faced war crime charges. Another thing that the movie got right was that the inexperienced American troops had been largely caught by surprise and that, at least initially, they were in some disarray. The movie focuses on Colonel Hessler, commander of the SS Panzer brigade that is in the forefront of the German offensive. The character Hessler was played by the British actor Robert Shaw, who dyed his black hair blond for the role. In reality, there was no Colonel Hessler, but the character is based on Joachim Peiper one of the most important SS commanders in the Ardennes. However, Peiper was still alive in 1965 and he did not want his role in the battle to be shown. He even threatened the movie makers with a libel suit. The producers then decided to change the name from Peiper to Hessler, but the character is fairly obviously meant to be representative of Pieper. 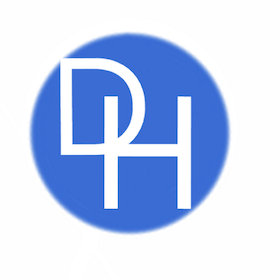 The name change saved the producers from a libel case and unnecessary legal fees. What is perhaps inexplicable is the fact that the German commander's real role in the Malmedy massacre is not shown. In the movie, Robert Shaw’s character, who is based on Peiper, is shown as surprised and angered by the killings of the G.Is by his men. This was not the case, Peiper had a long record of killing prisoners and he even ordered the cold-blooded murders of civilians during the offensive. He was extremely lucky to escape prosecution for war crimes. Men under his command were directly responsible for the killing of 90 American G.I.s who had surrendered and were in transit to prison camps in Germany. Perhaps the film makers were a little spooked by Pieper's potential legal action and distorted his role in the battle. The movie’s climax is a tank battle between the Germans and the Americans. This was based on the important Battle of Celles, perhaps one of the most critical encounters between the US and German armies during the fighting in the Ardennes. It shows the American tanks as being inferior to the Germans which was largely true. However, the movie also shows American tanks engaged in suicidal tactics in a desperate attempt to stop the Germans. In truth, the American tanks had a lot of aerial and artillery support. The American mobile artillery was very important and they managed to destroy many German tanks. The British are not really shown in the movie but at the battle of Celles, RAF Typhoon planes helped to halt the German advance. The movie gives the impression that the American high command was not really in charge and that the commander on the ground Major General Ernst Harmon saved the day. 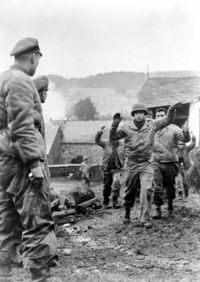 In fact, Eisenhower directed the American defense and subsequent counter-attack at the Battle of Celles. In general, the depiction of the battle was inaccurate. The only thing accurate about the movie was the scale of the American victory and the German defeat. It is estimated that only one-third of the Panzers involved in the battle escaped the battlefield.. The filmmakers at the end of the movie admitted that the movie was not accurate in the interests of drama and continuity. In fact, the movie was not only inaccurate at times but it was completely wrong. It gives a false impression of the Ardennes campaign and the key characters involved in it. Most Hollywood movies based on historical subjects are inaccurate but the Battle of the Bulge is particularly inaccurate. It infuriated many veterans of the battle. Perhaps the final word on the historical accuracy of the movie should be left with General Dwight D Eisenhower, commander of the Allied forces in Europe during WWII and former American President. Ike hated the movie and he publicly deplored its many inaccuracies. He tolerated other inaccuracies in movies such as the Longest Day but he believed that the producers of the Battle of the Bulge had falsified history in the interests of entertainment and that this was disrespectful to those who had fought and died in the Ardennes. The Battle of the Bulge may be an enjoyable movie but it is particularly accurate history.